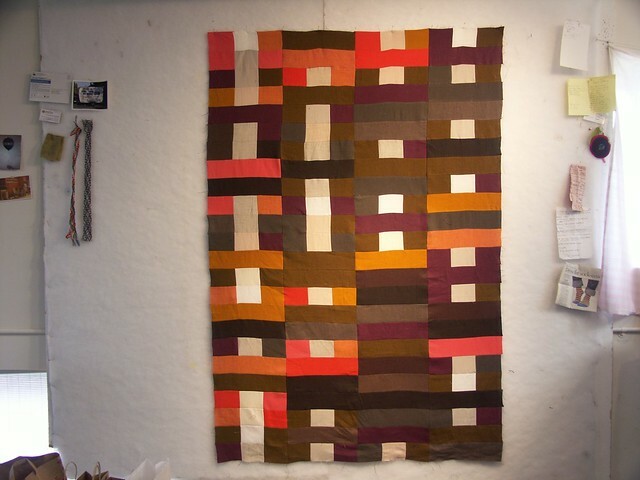 In the last installment I talked about ACCEPTING what is, as I slowly moved forward with my I Ching Modern Quilt. Finally I've begun SEAMING my columns together! I have four of six columns complete, and I'm loving it! I have two more columns to go - eight more questions for the oracle before I'm finished. 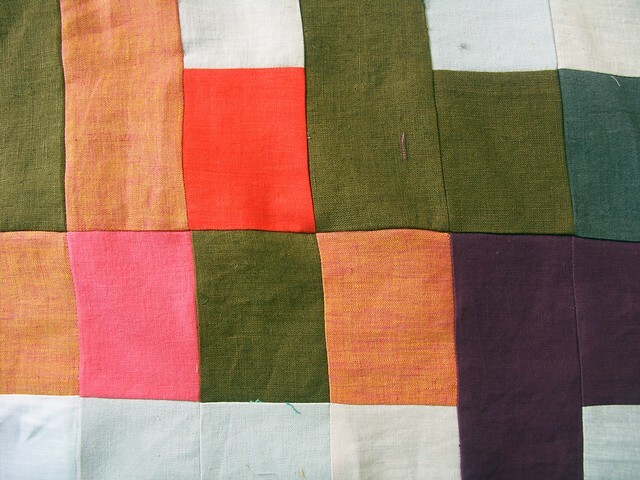 The final quilt will be 72" x 72" square. The fourth column (from the right) is filled with golden, changing lines. My readings have become progressively more dynamic, and they have all been spot on answers to my questions! When I began this process I was in the midst of dark times. I was suffering a painful ending to a relationship and facing a creative block. Slowly the creative, professional, and personal aspects of my life have begun moving, changing and even flowing again! Can you see this gradual transition from stillness to flow, darkness to light and color manifesting in the random pattern of the quilt? I can! I wonder what's to come??? After alternately IRONING the direction of seams for each column it is a piece of cake to match seams and pin them in opposite directions in order to decrease bulk. Match seams, ironed in opposite directions, so they fit snugly. Pin down the seam heading towards (flowing against) your feed dog. 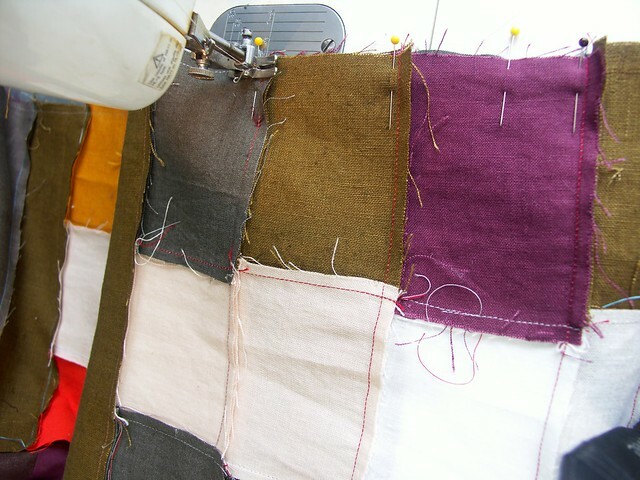 It is necessary to pin seams on top of fabric and then underneath fabric, with alternating columns, so they don't flip back and create bulk as you are sewing. 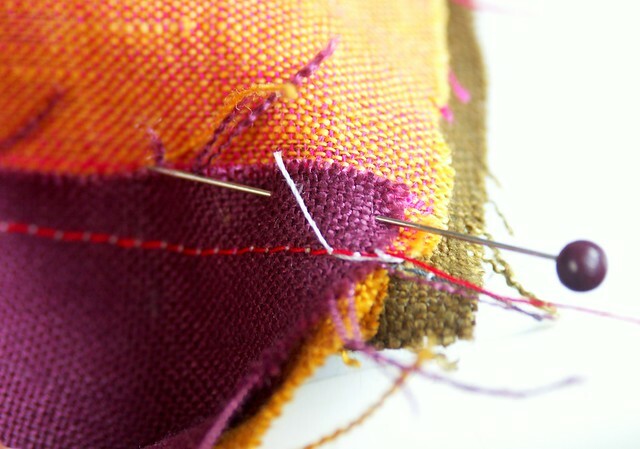 Sew a quarter inch seam. Carefully press column seam in one direction from wrong side of fabric. Flip and press on the right side of fabric. 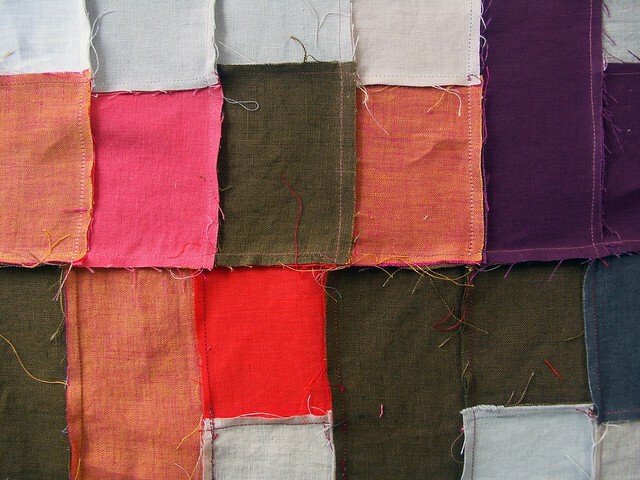 Linen lends itself to such crisp and precise seams! 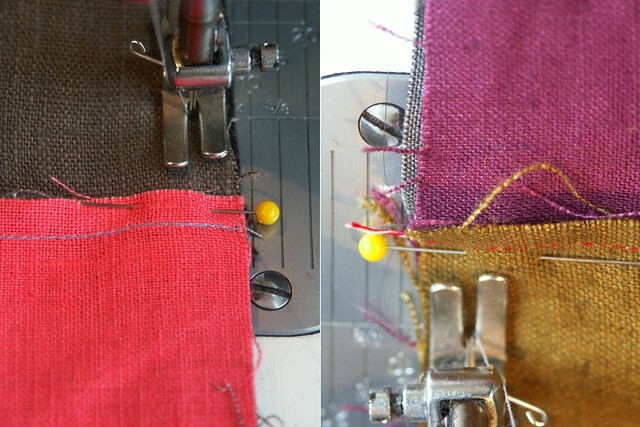 Begin sewing your columns together, left to right, as you finish them. Remember to take your time and be present as you seam. In the next installment I'll talk about ADVANCING towards the end.